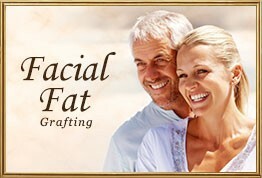 Full lips and a wrinkle-free mouth are hallmarks of a youthful face. As we age, our lips naturally lose their volume, becoming thinner and less defined with fine lines starting to appear around them. Wrinkles and fine lines can alter the smooth look of your lips further and compromise the shape of the vermilion borders and ‘cupid’s bow’. The corners of the mouth, known as oral commissures, will also deepen over time as volume is lost from the face. This may be present either on its own or accompanied by ‘marionette lines’ that run straight downwards from the corners of the mouth. The lines can cause you to look unhappy even when you’re not and are one of the biggest contributors to the face’s aged appearance. Lip Enhancement is a procedure that improves the shape and fullness of your lips. It is very frequently performed by employing non-permanent natural dermal fillers such as such Juvéderm and Restylane to help achieve a more alluring look and to restore the lips back to their former youthful appearance with greater balance and volume. These advanced fillers are composed of Hyaluronic Acid which is naturally found in the body. Hyaluronic Acid aids in maintaining the structure and thickness of the skin but it is slowly depleted through the aging process. When the lips are too large or asymmetrical, a surgical lift enhancement procedure may also be needed. Excessively large lips may also be treated by liposuction. However the surgical option should be considered as permanent since it will dramatically alter the lips’ structure and in the majority of cases simple non-surgical enhancement using dermal fillers is all that is required. Prior to treatment, you will have a thorough consultation in which your concerns will be discussed, your medical history is taken to confirm suitability of treatment and to exclude any contra-indications you may have. Your lips will be examined and evaluated in relation to the rest of your face, and a treatment plan is then tailored to suit your needs, taking into account your medical history, your concerns and your goals as well as your anatomy and lifestyle. All aspects of treatment including possible risks and complications are explained and there is also an opportunity for any questions you may have to be answered. Enhancing the lips themselves adds natural-looking volume and balance to the body of the lips, producing a sensual and pronounced pout. This is the most common enhancement sought by our patients. The edges of the lips can also be treated to restore their youthful contours and redefine the borders, which has the additional benefit of helping prevent lipstick from seeping out into the skin. This treatment gives the lips a crisp, well-defined shape. 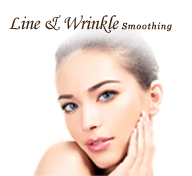 Fine lines and wrinkles that can be caused by pursing of the lips or smoking, can also be treated resulting in a fresher and more youthful appearance. Enhancement of the trough between the lips and nose (medically known as the philtrum) can also be carried out in order to improve lip contour and definition. As lips are sensitive, for purposes of comfort, an anaesthetic cream will be applied prior to the procedure. 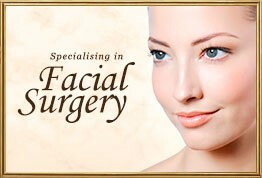 Some of the advanced dermal filler themselves also contain a local anaesthetic for added comfort. Lip fillers are then very carefully injected into the area required to give you more natural fuller lips. 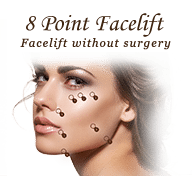 The duration of the treatment depends upon its precise nature and the areas being treated. At consultation, your precise requirements will be discussed to ensure that the treatment is tailored to the desired outcome. However in general the treatment typically takes from 20 to 30 minutes. Are there any side effects to lip enhancement? With advanced filler lip enhancement treatment there is minimal recovery or downtime. Following the treatment, some temporary injection-related reactions may occur, including redness, tenderness, firmness, swelling, bruising and bumps but this usually resolves within a few days. 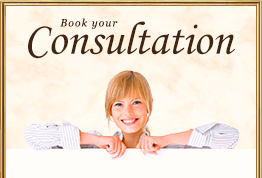 All possible risks and complications will be dicussed with you in detail during your consultation. 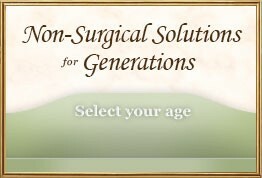 You will also be provided with written post-treatment care instructions. The result of a lip enhancement treatment will appear immediately, and as there is little or no recovery time, patients can resume their normal daily routine following their appointment. One of the great advantages of a Lip Enhancement procedure is that the effects are long lasting but not permanent as the advanced dermal filler will break down naturally over time. Longevity varies from individual to individual however, advanced dermall fillers should typically last between 3 to 18 months. The duration depends on many factors, such as skin type, lifestyle, age, the degree of perfection demanded by the patient and the injection technique of the practitioner. Therefore to maintain the results, further treatments are usually undertaken, however, the longevity do improve following each treatment.